Rusty would like to have a new friend of his own to enjoy his life with. He’s patiently waiting in the care of Jerry Green Dog Rescue in Thirsk, North Yorkshire for his wish to come true. 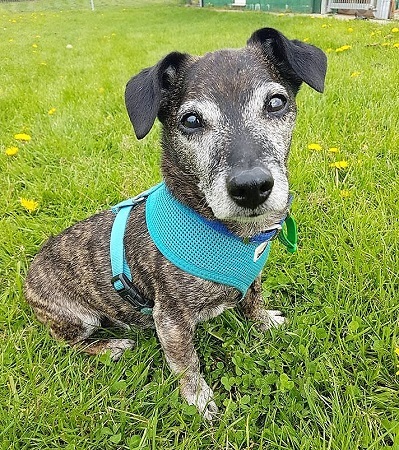 Rusty is around 11.5 years old and is a brindle Crossbreed. 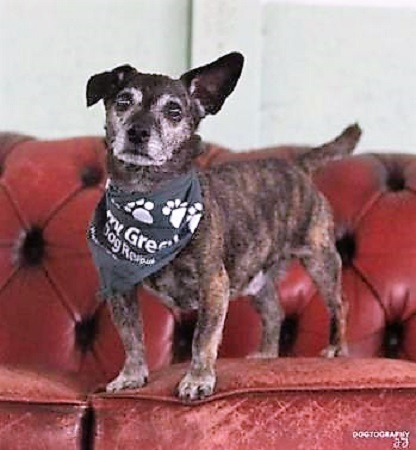 He needs to be the only pet in an adult home as he is looking for a quiet retirement with someone who can offer him a comfy lap, a cosy sofa and, especially, a friend to pass the time of day with. Rusty may be a more mature gentleman but he is still full of beans and has a lot of love to give. He enjoys his little walks and loves pottering around the garden. He does like human company to relax and unwind with. Rusty has been neutered and does have a heart murmur. Please mention you saw Rusty on the Oldies Club website.